So flattered the Pink Clutch featured Diff Miller Style and Design in her Bar Cart Series! We love a good bar cart and love Paige's colorful, eclectic style even more! Diff Miller Style and Design is featured in the January 22, 2016 issue of the Glam Pad! Come learn about how Meredith got started and what inspires her. Diff Miller Style & Design is honored to be featured in Society Social's 2015 Project Sofa! Check us out with 9 other fabulous ladies at Society Social and Style Me Pretty! Read all about Diff Miller Style & Design on the April 8th issue of the Glitter Guide!!!! Diff Miller Style & Design is proud to be the Real Society Socials No. 6! Check us out below!!! 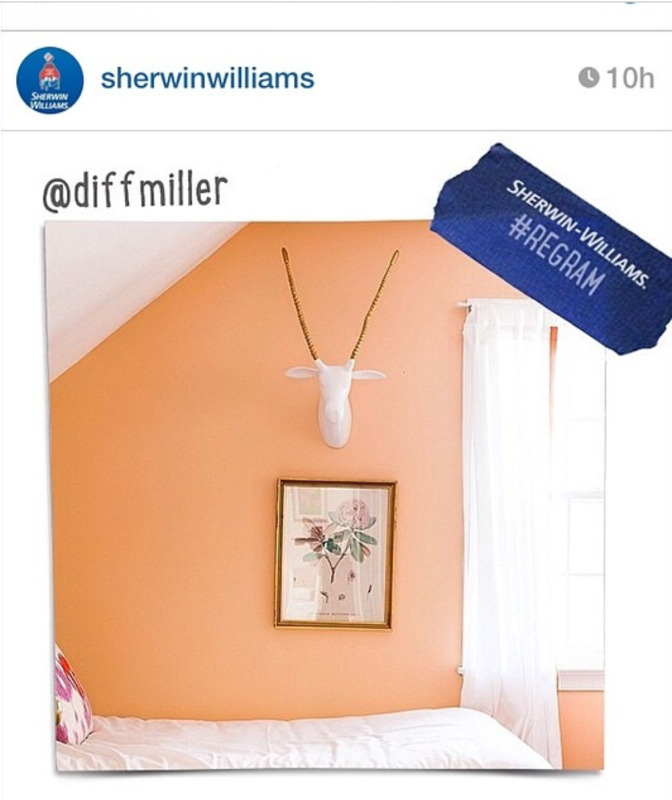 Thanks to our friends at Sherwin Williams for giving us a shout out on Instagram! We love #avidapricot!! !